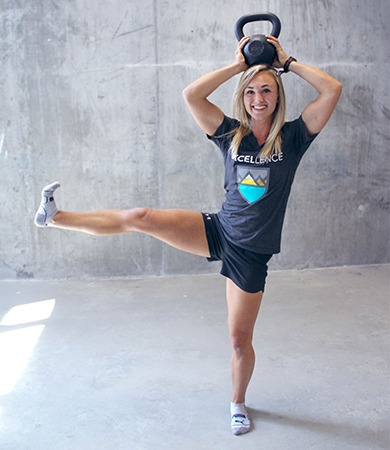 When Marie-Eve first started at EPIC, she had little knowledge of the science behind exercise and nutrition. With her full commitment to the process, it made my time with her so exciting and rewarding. Her goals were pretty simple when we first met each other- “lose some weight for her wedding”. As our time together increased, she quickly started adding to that list of goals. She wanted to do push-ups, gain flexibility, increase cardio, improve posture, etc. Although Marie-Eve’s goals were mostly physical ones, I made it my mission to challenge her to grow in a spiritual and emotional way. We often spent time between sets talking about personal development and the importance of self care. I am so proud of the transformation that Marie-Eve has made both inside out outside. Not only has she lost weight and improved her posture, but she is now a more confident and independent individual. I am so excited to see her walk down the aisle on her wedding day and marry the man of her dreams. She has worked so hard in this short time and I know she will only continue to learn and grow!